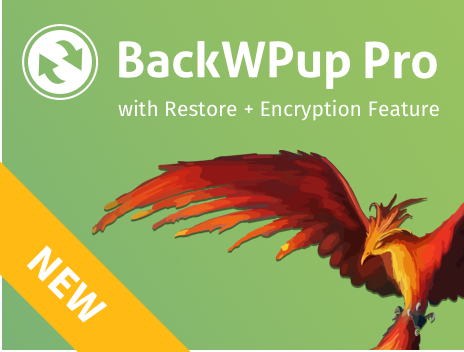 For every backup job that is running, BackWPup creates a log file, where every step of the job is documented. Advanced users can take a look and identify problems themselves. If you need help from our support, the log files are necessary to identify the problem and provide you a solution to it. Please have a look at our article Sending in log files for the support, if you need help from our support. At BackWPup → Logs you can find a list of the recent backup job log files. The number and type of the logs can be set under BackWPup → Settings, under the tab Logs (see Settings for log files). Time – when did the backup job run. Job – name of the backup job. Status – O.K., if the job was successful, ERROR and/or WARNING, if problems occurred. Type – what has been saved. Size – size of the backup file. Runtime – how long did the backup job need to run. If you hover the mouse over a job name, a list of links will appear to view, delete or download the log file.